Jennifer Espinosa-Goswami is a weight loss cheerleader who admits that vegetables still aren’t her favorite menu item. 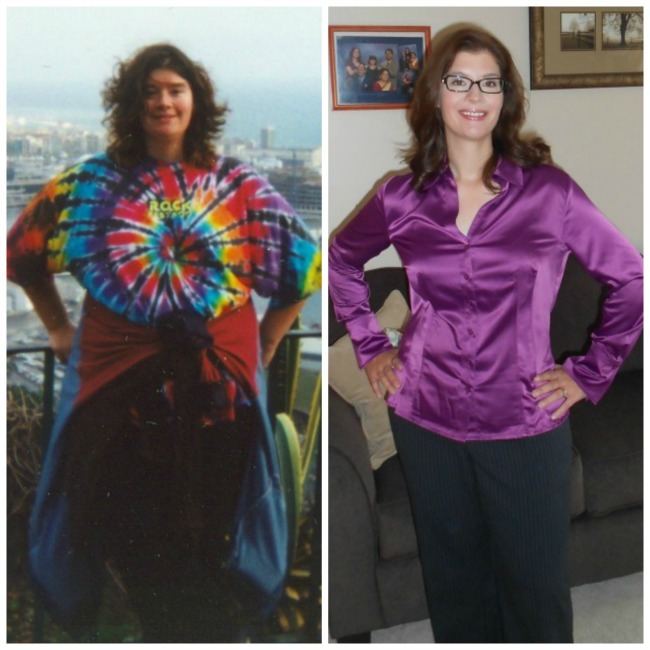 After losing 100 pounds in one year, Jennifer is motivating others on her website, Weightless Chronicles. Tell me when your weight struggles began. I don’t remember ever being thin. I never felt like I struggled with my weight, but I was embarrassed by it. 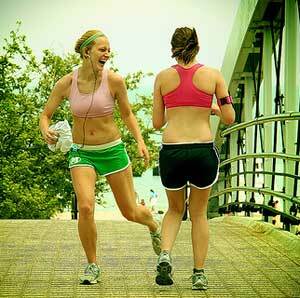 What habits specifically led you to gain weight? I ate so much, and almost always to please my taste buds. I loved everything about food, from shopping for groceries with my mom, to cooking, to enjoying it with my family. I also hated vegetables with a passion. Once I turned 18, I vowed never to eat anything green (except ice cream). Two years later, I reached my highest weight. What caused you to realize you needed to change? My grandmother passed away. She was the last of my grandparents, all of whom played a big role in my early childhood. Grandma Espinosa was an active and passionate woman who was there for every major event in our family. I realized that I might never see my own grandchildren. We’ve all heard it, “The only way I lose weight is when I run.” Although it’s true that running is a very effective way to lose weight, there are some golden rules to follow for those using running as a weight loss tool. 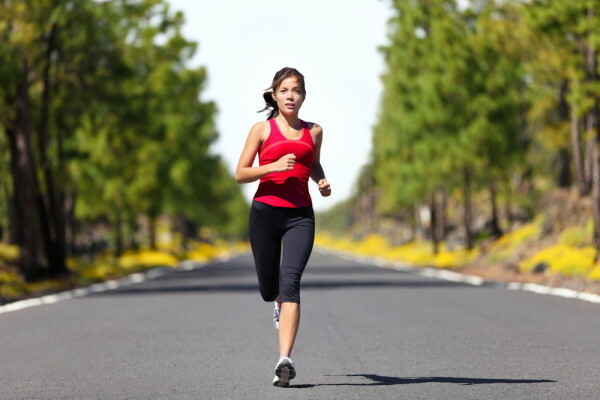 While these rules are directed primarily to first time runners or those returning to run after a year or longer hiatus from it, several of them still apply to all runners looking to shed a few by pounding the pavement. Whenever I ask people what their favorite way to get cardio in is, they usually mention two pieces of equipment: the elliptical and the treadmill. This is great because both offer a fantastic cardiovascular workout and work well for people of all kinds of fitness backgrounds. But how do these two pieces compare in regards to cost, ease of use and accessibility? Read on to see how ellipticals and treadmills compare and how they differ- and find the piece of equipment that is perfect for you! While both ellipticals and treadmills vary greatly in price and quality, when looking at cardio pieces that are appropriate for home use, ellipticals are typically a little bit less costly than treadmills. You have to be a savvy shopper, but know that your dollar is going to go a bit farther when buying an elliptical. While there are quite a few ellipticals on the market that are less than $1,000 and are OK for general home use, I can’t really say that about treadmills. This is because when you look at the basic machinery of the two types of equipment, a treadmill is just a little bit more complicated than an elliptical. 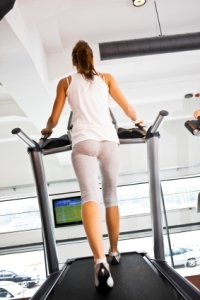 When shopping and looking at price, also take into consideration that both pieces may need repairs under regular use, with treadmill belts usually needing a bit more love and repair than an ellitpical. Both pieces should come with warranties. Who wins this one? 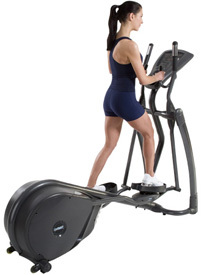 The elliptical is a more cost-effective option. Nothing drives me more insane as a personal trainer than seeing someone at the gym walk on the treadmill for over an hour. There they are when I walk in the door to warm up, and there they remain after my entire workout is over. No wait, I take that back. Probably as equally frustrating is seeing people on the treadmill with the incline jacked up to 15 while hanging onto the machine for dear life. Either way, just because the display on the treadmill says that you burned a certain amount of calories doesn’t mean you actually did. If you are hanging on like Tom Cruise to a cliff in Mission Impossible 2, you aren’t working as hard as the treadmill thinks you are, so cut the calories burned total in half. The treadmill seems simple enough. Hop on and walk- or run, if you’re feeling saucy. However, just putting in the time on the treadmill isn’t going to cut it. You have to make it count. Why waste your time and effort when you can get more results in a fraction of both? There are a lot of variables you can use to get the most out of your treadmill workout, so pick a favorite, or a combination, of the below and cut down on the amount of time you are on the treadmill while burning more calories than ever before.